Meditation is practiced in many faith traditions. 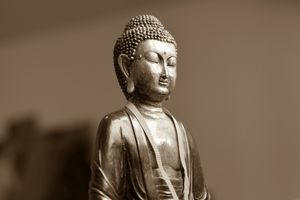 What is unique about Buddhism? Is it a philosophy, a religion or something in between? Zen priest, Karen DeCotis will dive into the heart of Buddhism and offer the central teachings of this 2500 year old tradition. Each of the two classes will have presentation, meditation, history, question and answer, dialogue. Great for those new to meditation and Buddhist practice. Seasoned practitioners are warmly encouraged as well.